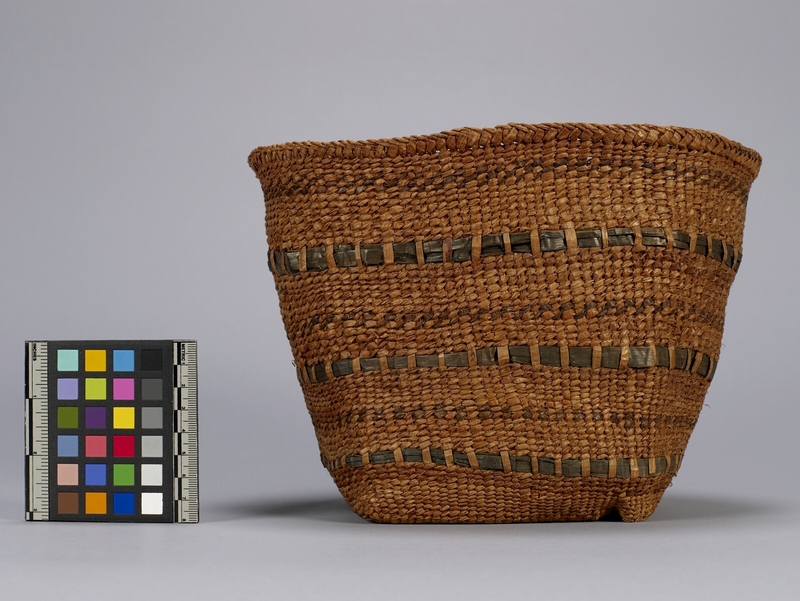 Item number A7507 from the MOA: University of British Columbia. 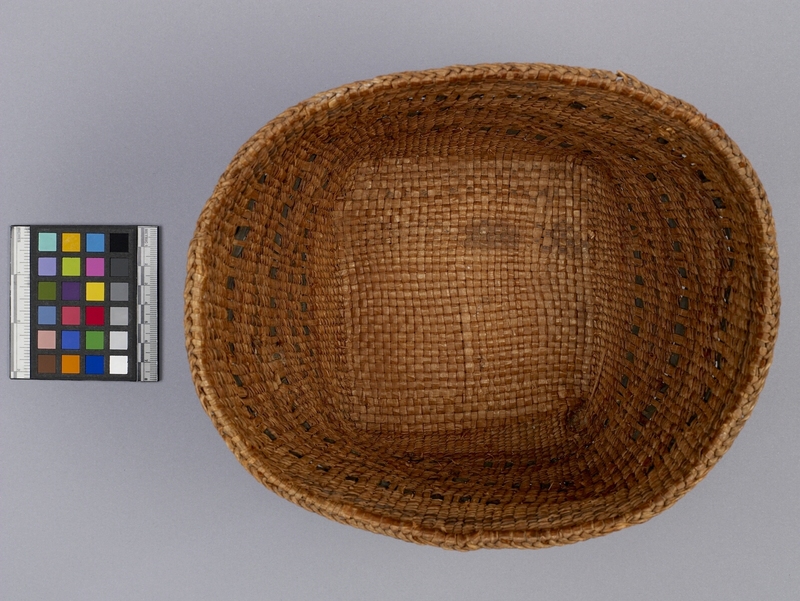 Woven basket with a square bottom, gently flaring sides and an oval-shaped upper rim. 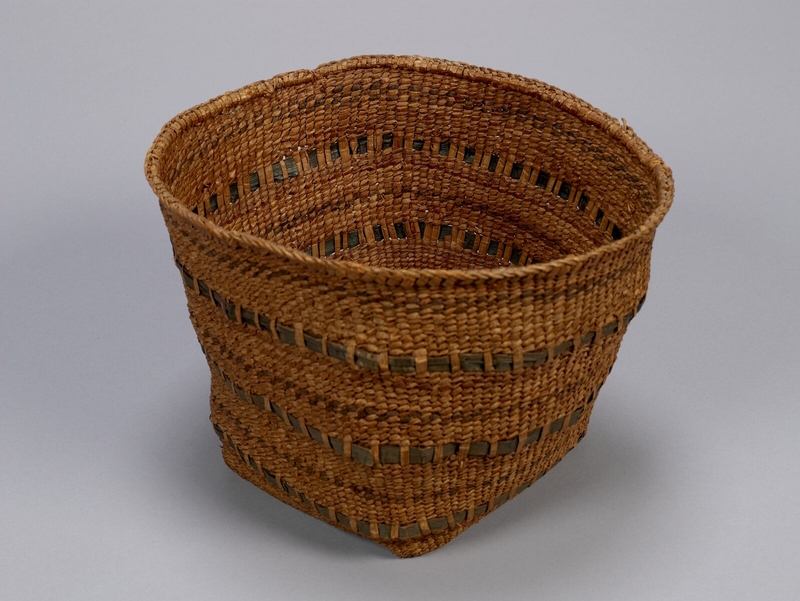 Sides are twined with sections of plaiting; rim is braided. Three wide horizontal strips of dyed cedar bark fed in-between warp strands, and three strips of dyed bark twined into sides.